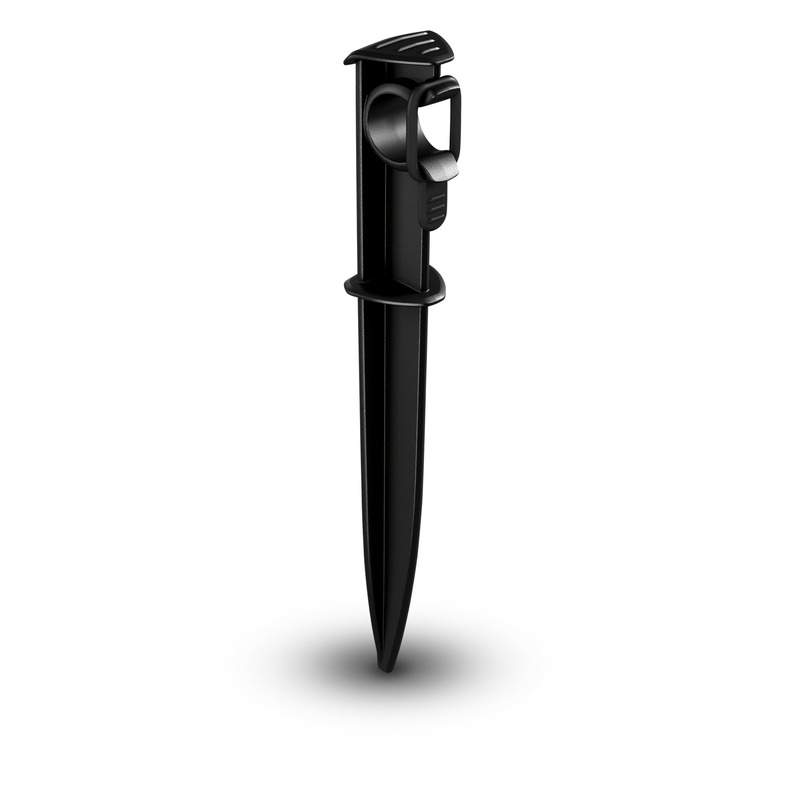 Hose Spike 26452370 https://www.kaercher.com/ie/home-garden/watering-systems/kaercher-rain-system-tm/hose-spike-26452370.html The Kärcher hose spike is used for fixing the Rain System hoses and soaker hoses to the ground. With an integrated rubber ring, you can be sure that your hoses stay put with this hose spike. 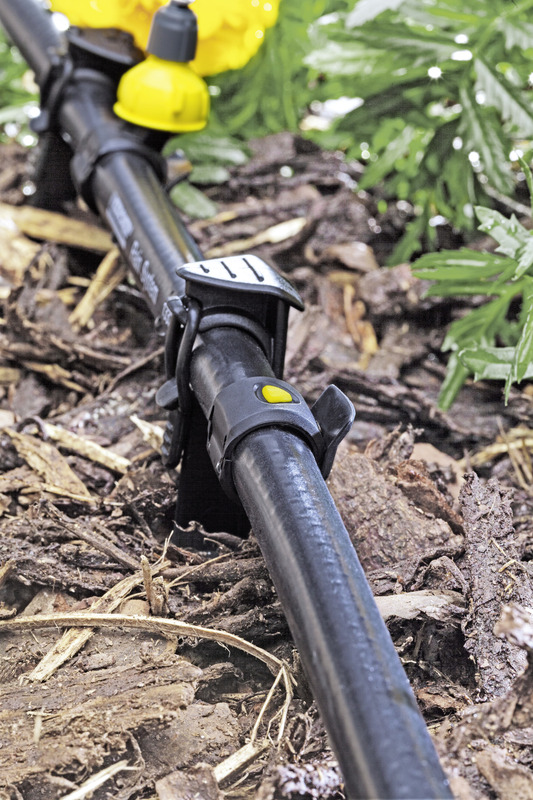 The Kärcher hose spike reliably fixes the Kärcher Rain System hose and the soaker hose at the desired point, and creates the necessary distance to the ground. The 17cm long ground hose spike has a marking tool for conveniently defining the optimal insertion depth. The rubber ring on the attachment point ensures secure fixing of garden hoses, so they stay exactly where you need them. 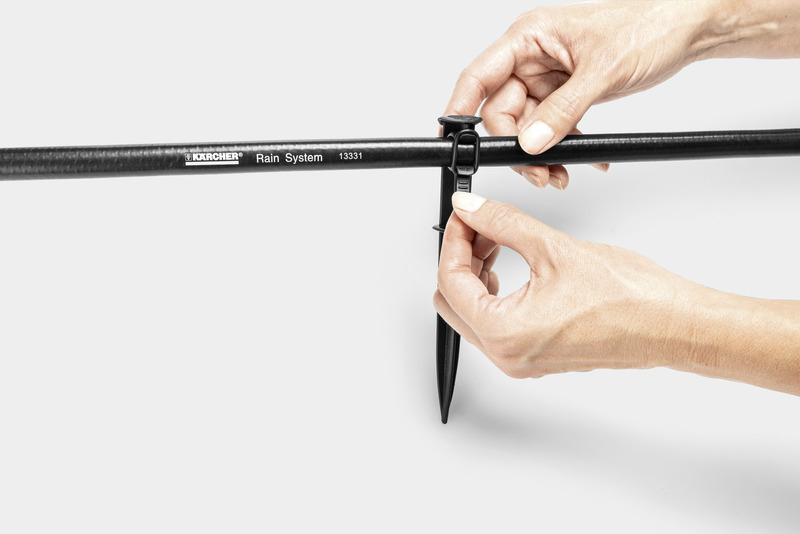 The Kärcher hose spike is crucial for tailoring and adjusting the Kärcher Rain System for your garden and keeping it securely in place. The Kärcher Rain System can be easily adapted to almost any garden, and when used with the SensoTimer can give you need-based watering control – helping you spend less time watering your garden and more time enjoying it. Kärcher Rain System hose and soaker hose can be optimally fixed.